World-class laboratory facilities and support to help advance global research in food and water safety, food quality management, nutrition improvement and environment protection. Innovative research is essential to the future safety and sustainability of our food and water supplies. At the International Food and Water Research Centre (IFWRC), we believe in providing access to the most advanced specialty instrumentation, scientific minds, and funding options, in order to support meaningful projects and enable valuable research to be undertaken quickly and effectively. 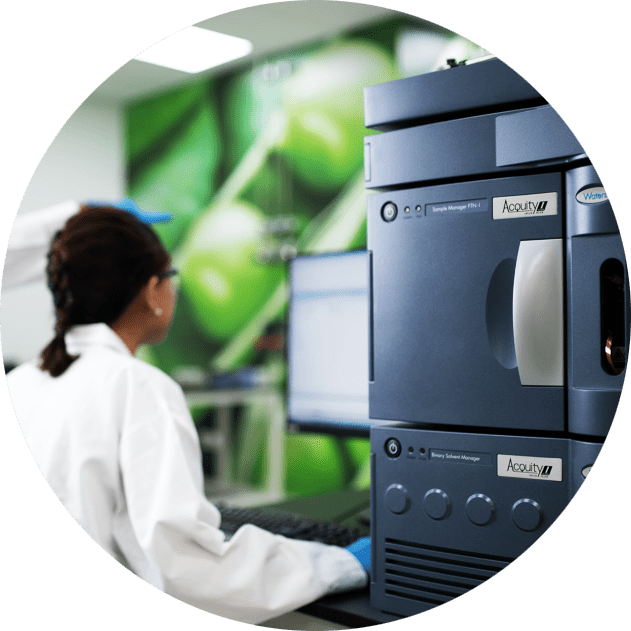 Our goal is to help qualifying labs make use of the right instrumentation at the right time, and connect them with researchers through a network of industry and academic experts, as well as with on-site staff specialists. With this support, we expect new ideas and hypotheses to emerge that will further advance food and water safety research across the globe. Who Can Apply to Use the IFWRC? Any scientist with a project related to food and water safety, and who cannot access the necessary equipment for their methodology, is invited to apply. Typical applicants might include principle scientists and investigators working in universities, food companies, government agencies, NGOs and other research organizations with projects on (but not limited to) food safety and quality, water quality, nutrition management, new ingredient discovery, and diet and health management. Our Scientific Advisory Panel reviews all applications and selects global projects to be implemented in the lab. For more information about how to apply, and for all other general enquiries, please complete the form below. By submitting this form, I am agreeing to be contacted by the lab and its sponsors. QDa, REIMS, Sep-Pak, UNIFI, UPLC and Xevo are trademarks of Waters Corporation.